This floor or table model doesn’t take up much storage room. It has both a pressure control and a pressure relief knob that are really easy to use. This paint pump works on standard 110 voltage and pressurizes to 3000 PSI. 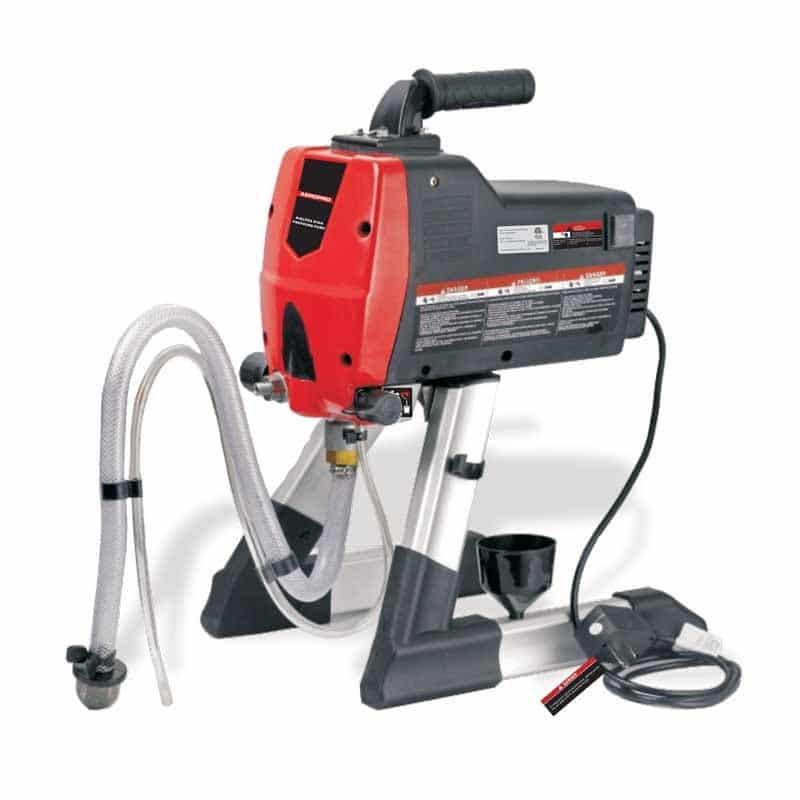 This unit has a flow rate of 1.6 l/min and comes with a standard 515 nozzle and a 25 foot high-pressure hose.